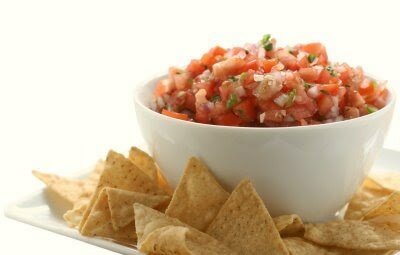 In honor of Cinco de Mayo, I made pico de gallo salsa – a fresh and healthy salsa recipe with tomatoes, peppers and onions. Goes great with chips, grilled fish, chicken and in tacos. This salsa is low in calories and fat. You can adjust the heat and any ingredients to suit your taste. If you can’t find chile peppers, jalepeno peppers work great too. 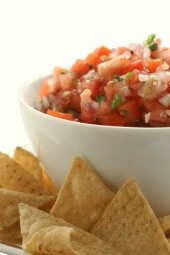 Pico de gallo is perfect for any summer appetizer or party appetizer. Some of my other favorite salsas are Mango Avocado Salsa, Salsa Verde and Corn Salsa with Lime. Let it marinate in the refrigerator at least an hour for best results.